How do I listen to audio in Equipd? This is quite a general question. It depends on what publication you are trying to listen to, in what language, and if it supports audio. Below I will provide some tips for listening to the audio for the most common scenarios. All audio support currently in Equipd is "streamed" directly from JW.org. This means that you need to have an Internet connection to listen to the audio. First of all please go to the Bible Tab and in the top / left click on the "Bibles" button. 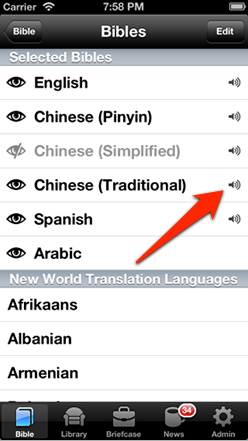 This will show you a list of different NWT languages, and you will see which ones support audio - indicated by the icon . Make sure you have selected a language that has this icon next to it. This is where there are several Bibles / Languages showing side-by-side. Because this screen is only showing the specific Bible verses you have selected, you cannot play the audio from this screen. 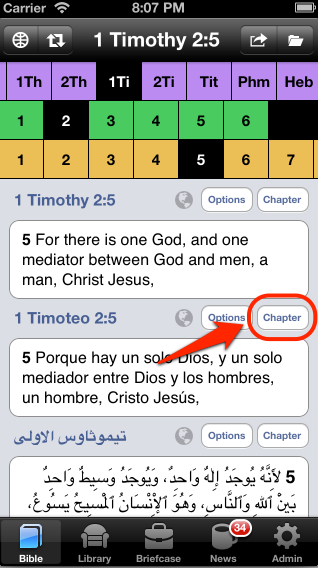 You need to go into the Chapter view, where you can then play the audio from verse 1 of the chapter. 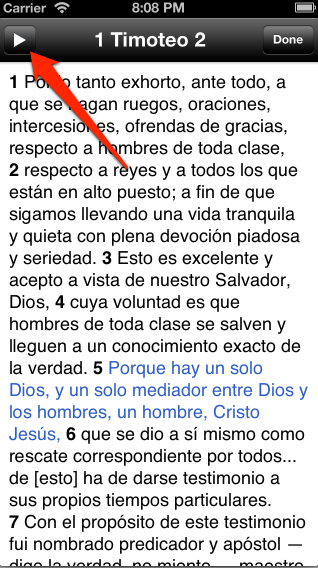 What if you are only using the Bible for one language? Then the Play button for the audio is even easier to locate! 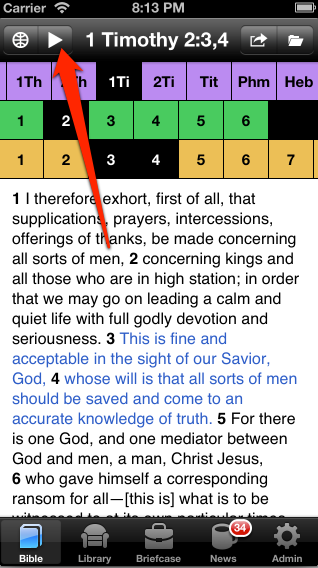 The languages that support audio for each of these publications are indicated exactly the same way as highlighted above for the Bible - using the icon . 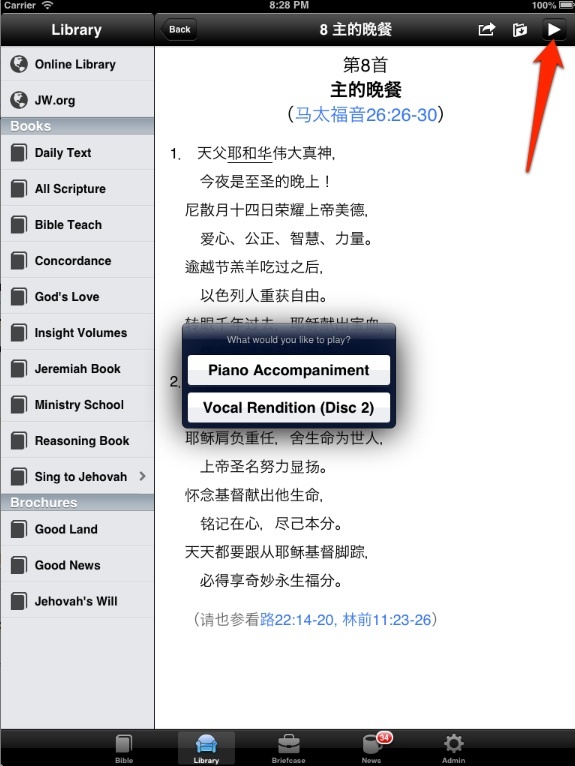 In addition the Sing to Jehovah (Song Book) has an additional icon which shows next to the songs to indicate songs that have Vocal Renditions, in addition to just the Piano accompaniment. For each of these publications, open a language that supports audio, then open a chapter in the publication. The "Play" button will appear in the top / right. Tip: If you want to have a bit of fun with some friends, why not play some songs in different languages - see if your friends can pick the song and the language! Tip: How do I listen to just the selected Bible verses?